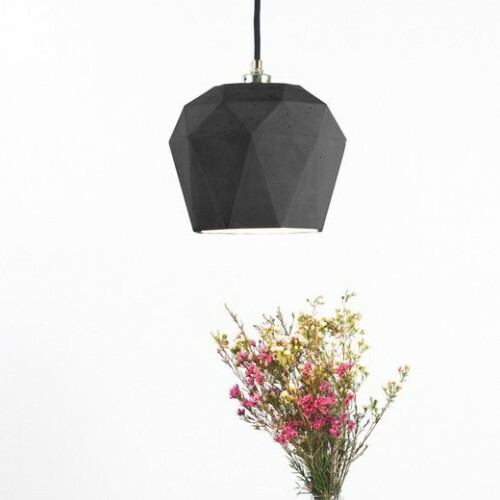 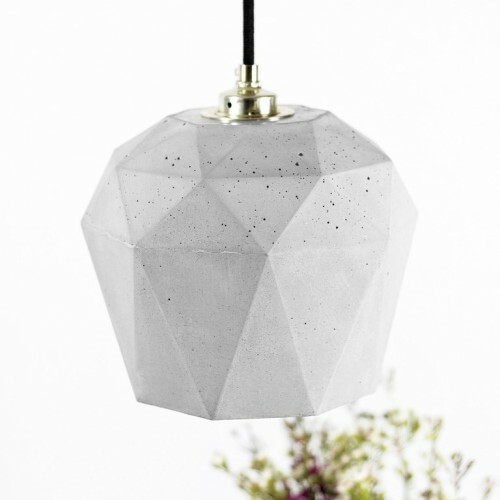 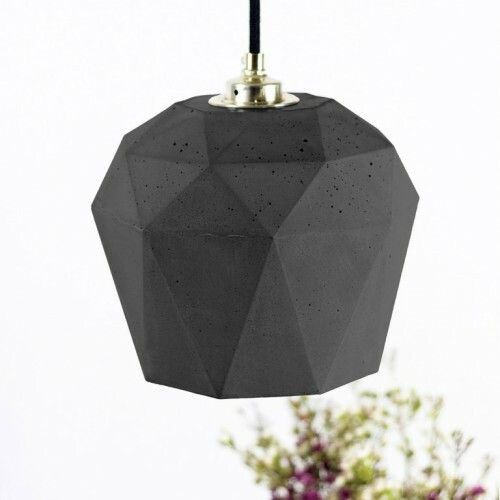 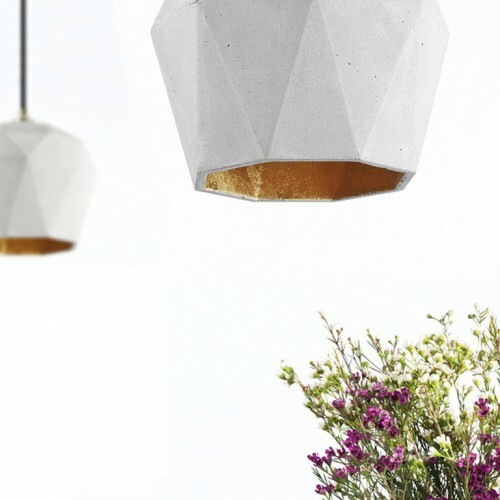 The triangulated pendant lamp [T3] is cast from a light grey concrete. 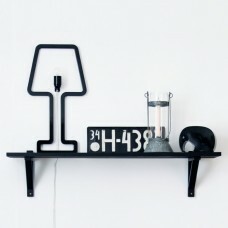 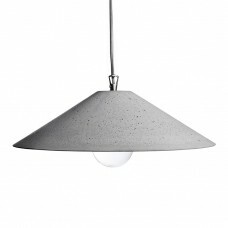 It combines noble gold with rough concrete into a timeless and elegant designer lamp. 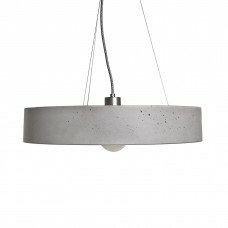 The high-quality gilding of the insides emits a pleasant warm light. 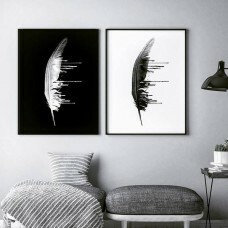 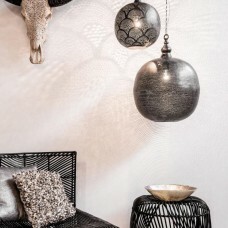 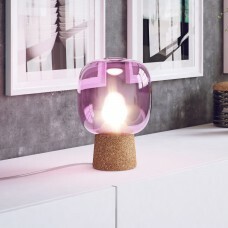 With an edge length of 21 x 21 x 17,5 cm, the lamp is suitable both, individually as "eye-catcher" but also in series over a dining table, a long table, a sideboard, a desk, a bar or anywhere in the room in scene place. 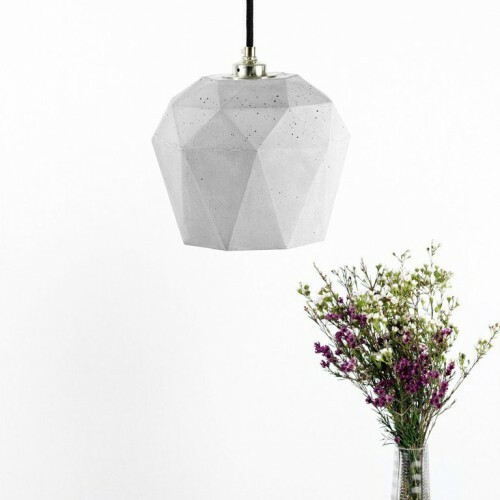 Due to its minimalistic design and the contrasting materials- concrete and gold, the designer lamp can be combined with any style. 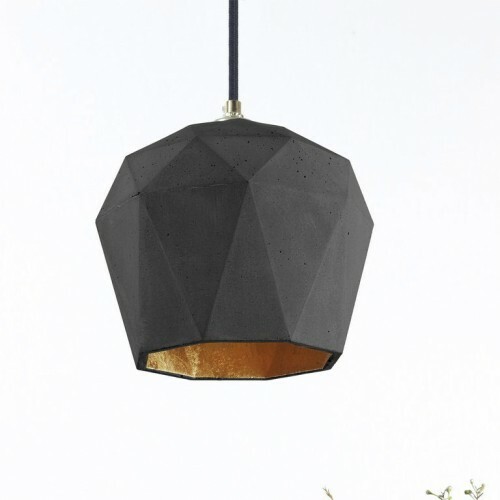 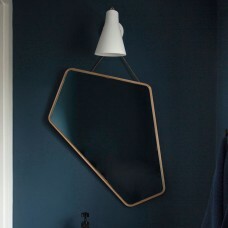 The handmade lampshade is delivered ready to install with a E27 brass mount, cable restraints, choice of cabling, mounting hardware and black canopy.